Donald Trump sparked outrage this week in the US over his congratulatory phone call to Russian leader Vladimir Putin on his re-election. But his obscene indulgence of a Saudi despot in the White House hardly ruffled any concern. How disconnected from reality can you get? 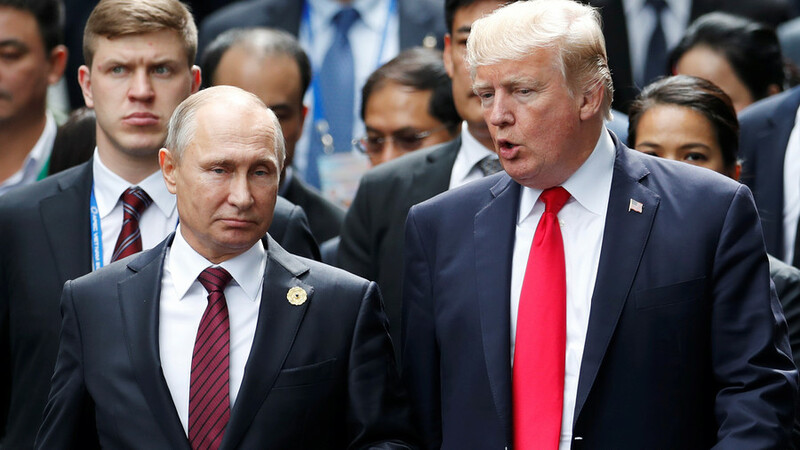 There was furious reaction across US media to news that Trump phoned Russia’s President Putin to congratulate him on his landslide election victory last weekend. Republicans and Democrats were up in arms about what is just basic protocol of one leader calling another to express customary election compliments. After all, former president Barack Obama did the same when Putin won the previous 2012 presidential election. 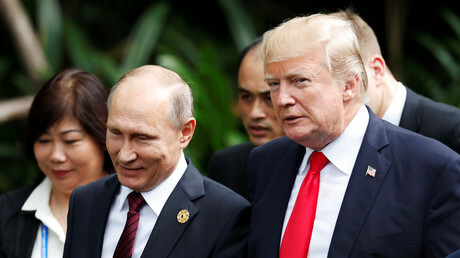 This time, however, US-Russian relations have become toxic after a raft of unproven allegations against Moscow, including alleged meddling in the American presidential vote in November 2016 in which Trump was elected, and the latest row over the poisoning of a former Russian double agent in England. All these anti-Russian claims are unsubstantiated, if not outlandish, but they are repeated often enough to cast a permanent cloud over international relations. Republican Senator John McCain was widely quoted by way of expressing the bipartisan outrage over Trump’s phone call. “An American president does not lead the free world by congratulating dictators,” he said. American critics of Russia’s Putin can quibble all they like about the merits of his re-election. They contend the vote was a foregone conclusion, rigged in his favor. But such sniping seems churlish against the overwhelming fact that Putin was supported by a huge majority of voters – nearly 77 percent. In any case, another way of looking at this outpouring of American bile is to enquire just how credible are the detractors? Their consternation with regard to Putin and Trump’s customary phone call seems way out of proportion, and strangely at odds with their relative silence over the visit in the same week to the White House by Saudi Crown Prince Mohammad bin Salman (MBS). 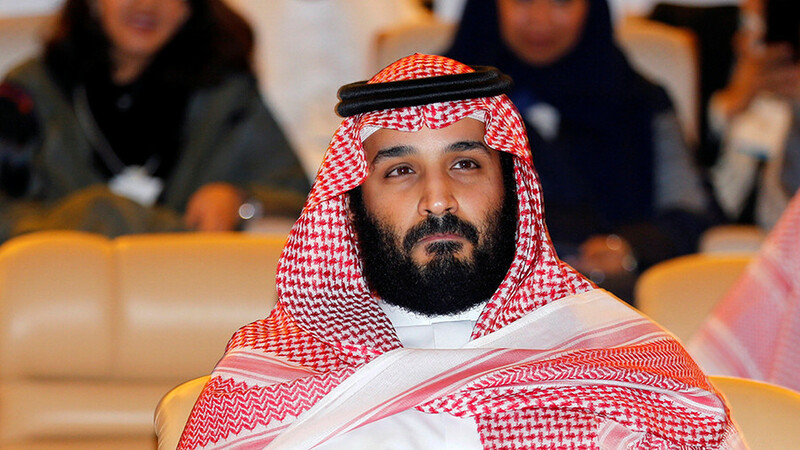 Bin Salman is the de facto leader of the desert kingdom in place of his ailing father, King Salman. 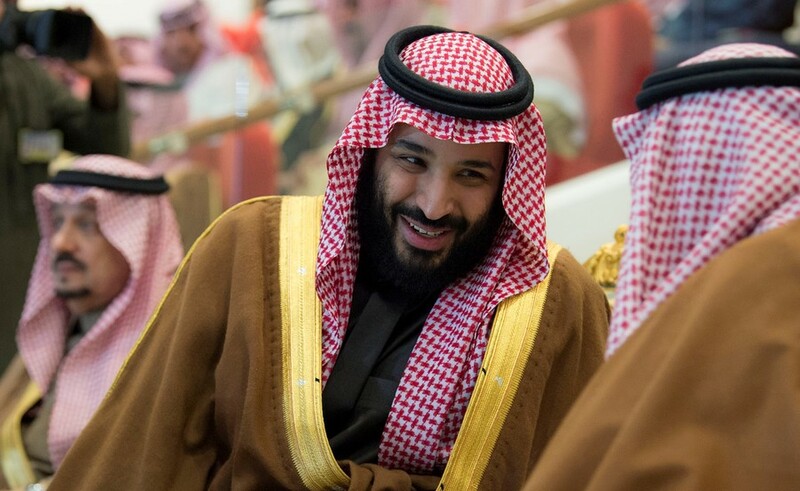 The 32-year-old crown prince consolidated his autocratic power last year in a purge against other members of the House of Saud, in which hundreds of rivals where rounded up, detained, reportedly tortured, and shaken down for billions of dollars. 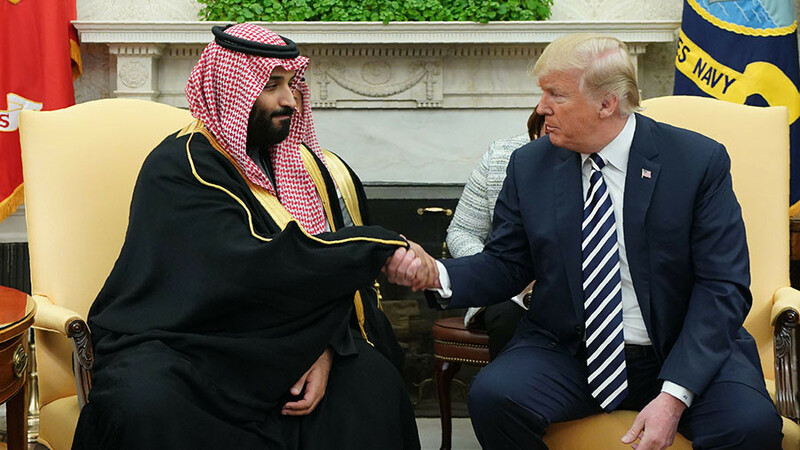 MBS was feted by Trump in the White House mainly because of the giant weapons purchases he has made since the American president visited the oil kingdom last year – which was Trump’s first official overseas visit. It was a grubby spectacle of just how sordid the decades-old relationship is between the US and its Arab client regime. All in the seeming salubrious setting of the Oval Office. 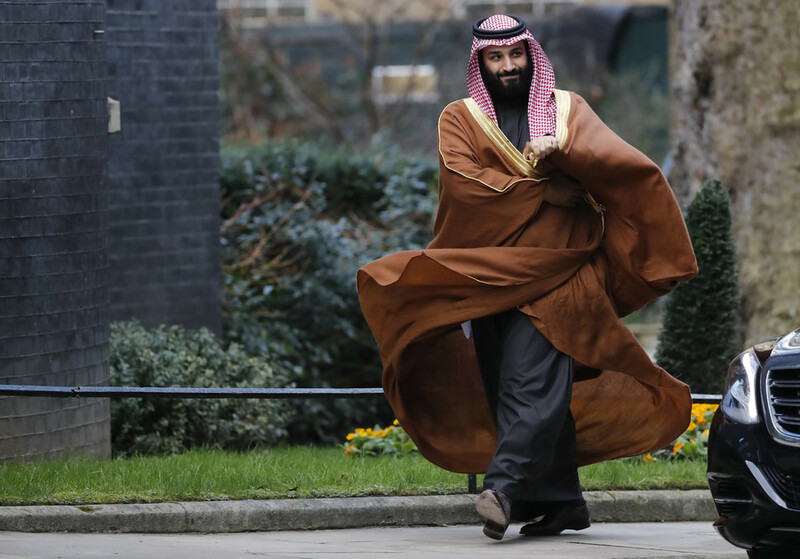 If the outrage over Trump’s perfunctory call to Putin had any principle over the matter of elections and autocratic rule, then the critics in Washington would have more than ample cause to fulminate against the Saudi Crown Prince being greeted in the White House. But there was barely any protest. Admittedly, there was an attempt this week by some senators to pass a resolution limiting American military support for the Saudi war in Yemen. In the end though, the resolution was rejected by a majority of lawmakers. However, aside from that minor show of dissent, in the scale of things the disconnect with reality in Washington and the US corporate media shows a grotesque distortion of moral priorities. MBS was visiting Washington in the same week, marking three relentless years of US-backed Saudi slaughter in Yemen. 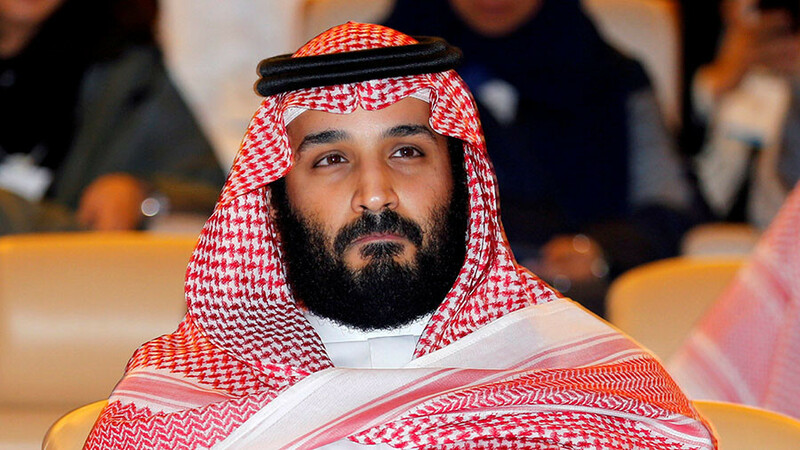 Crown Prince Mohammad bin Salman, who also holds the position of defense minister, is the architect of the Saudi war in Yemen. Some eight million people – a third of the population – are facing starvation, largely because the Saudi-led war has blockaded the country from receiving food imports, medicines, and other humanitarian aid. Thousands of civilians have been killed in airstrikes by Saudi warplanes that are supplied and refueled by the Americans, British and French. The Americans also share intelligence to direct the Saudi bombing campaign, which even pro-Western human rights groups have reported as being indiscriminate in striking civilian centers. In other words, the US and its NATO allies are fully complicit in this ongoing barbarity. Saudi claims of fighting against Houthi rebels because the latter are orchestrated by Iran to destabilize the region are not credible. The war is all about trying to re-install a puppet leader, Abdrabbuh Mansour Hadi, who was kicked out by rebel fighters in January 2015. The Saudis launched their war with Washington’s approval in March 2015, partly out of spite over the international nuclear accord that was being negotiated at the time. The Iran nuclear deal was finalized in July 2015. Trump wants to axe it to further placate his Saudi clients. What is going on in Yemen is nothing short of a bloodbath. Arguably, it is a genocide, given the collective punishment imposed on the entire nation by the Saudi military coalition supported by Washington. Trump’s hosting of the Saudi crown prince this week in the White House is an obscenity. Celebrating the sale of warplanes, tanks, missiles and other munitions was a macabre drooling over the slaughter of thousands of innocents. Of course, Trump participated in the charade that the war in Yemen is a “just cause” to counter Iranian malign influence. 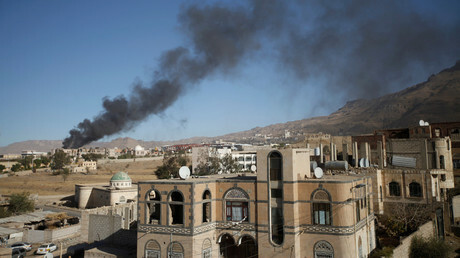 Iran denies any involvement, as do the Yemeni rebels. There is no evidence to support the US-Saudi claim. Besides, how could Iran supply weapons to a country that is blockaded by land, air and sea? What is truly disturbing is how little concern the US-enabled carnage in Yemen provokes in official Washington circles and among the corporate media. Millions of Yemeni children are dying from bombardments, hunger, and diseases. 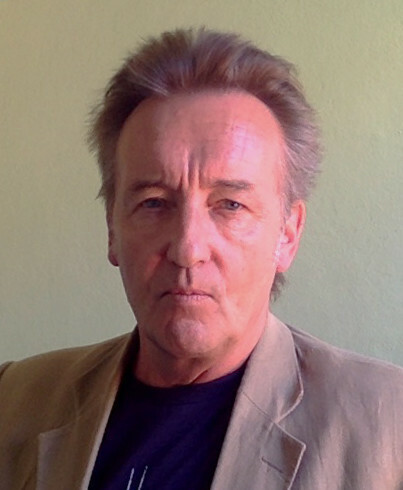 The horror is real and unalloyed, unlike the situation in Syria, where the Western media have distorted Syrian Army and Russian liberation of towns besieged by NATO-backed terrorists. For Yemen, the official silence in Washington is astounding. The very personification of the Yemeni horror – a blood-soaked Saudi despot – is welcomed and cheered, with barely a murmur of protest in Washington or the mainstream news media. Such people have no moral compass or integrity when all they seem concerned about is their president making a phone call to an elected Russian leader. Thus, anything they have to say regarding Putin, Russia, its elections and foreign policy is best ignored. People with such a glaring disconnect from reality are impossible to reason with. They are beneath contempt.